Next to posting on the right hour and having strong content to show your followers, it's also important to use the right hashtags if you want to increase your engagement. But it's not always easy to know how many hashtags you can use, which specific ones that need to be included and how to avoid a shadow ban if you work with the hashtags. Because using the wrong strategy can lead into a blocking system of Instagram. 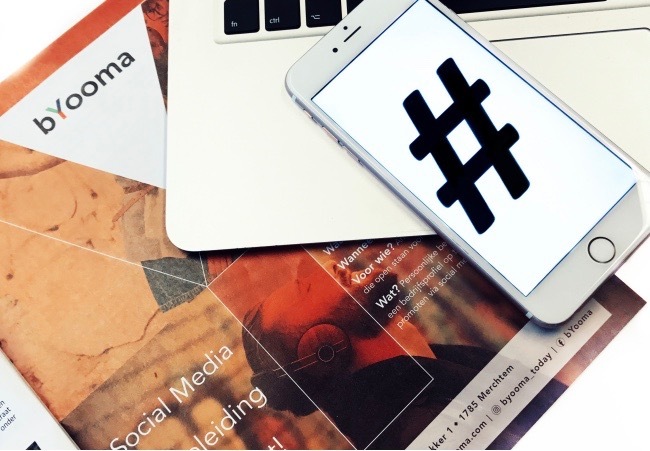 Some people really don't like using them and seeing too many hashtags underneath a post can look messy, but did you know that a picture with one or more hashtags can give you +12% of engagement? So if you won't use any, you can loose about 10% in reach as well. With the following steps you will be sure to avoid a shadow ban and you will learn how to use hashtags the right way. Are you ready? 1. Why do you need to use hashtags when you post content? 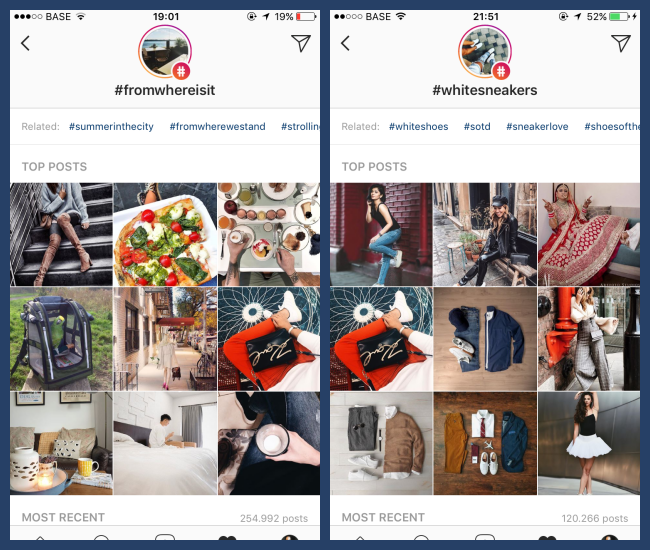 On Instagram you can easily grow your account if you use one or a combination of different hashtags. It will help your content to be exposed to more people and specific audiences. By this way you will be able to promote your brand, attract new followers and have more engagement. If the engagement is very high the first few hours, you will also be shown on the TOP POSTS list of an hashtag. This means people will see your picture first. 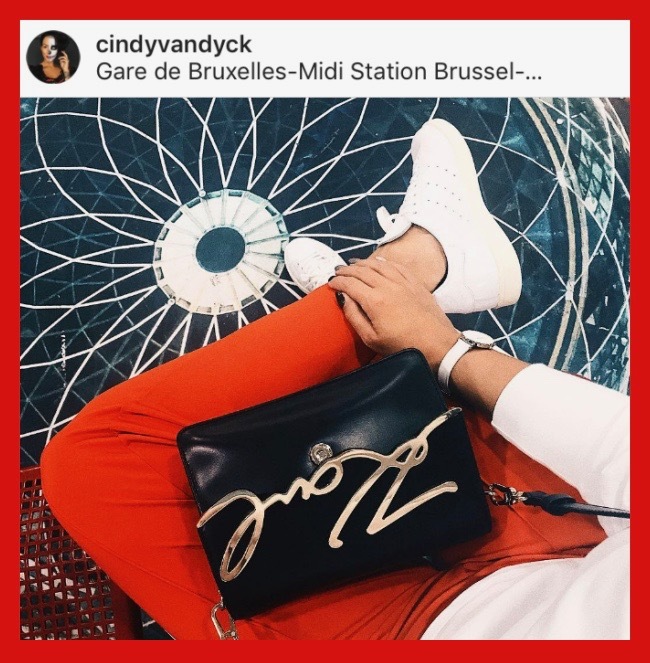 For example this picture with a designer bag and white sneakers. Within the first hour it had over 700 likes. Thanks to the right hashtags and time of placement it helped to be in the explore page. 2. But how do these hashtag work? Each content (post or video) you upload on Instagram has a little text, message or caption. Sometimes only emoji's and a couple of hashtags. These tags will help your content to be categorized and organized so it can be discovered by other users as well. - Brand related hashtags: this is a unique created tag for your business. For example your business or company name, the name of your product of the campaign. As long as it's related to your content, it will be easy for people to find your brand. - Hashtags used by a community: these tags are more to connect other users that have the same interests and post about a specific subject. In this way you will be able to grown your own community and to gain followers with the same interests. Be careful though! If you choose groups over 500K users, it will be more difficult for others to find your picture. Choose for a small but strong community so people will engage more easily. 3. Find the right hashtags for your content. If you want to have success with the use of hashtags you need to use them in a strategic way. The bigger the amount of posts within a tag, the less likes you will have. Simply because there are too many posts. Go for smaller groups specific to your audience and niche. But how do you find these groups? The best way is to look at other profiles with the same niche and interests as yours and with a good engagement rate. Also looking through the explore page for tags will help you to find other and more related hashtags that you can use. 4. How many hashtags can you use? It's a never ending discussion. How many should you use for the best reach? Instagram allows 30hashtags but we recommend to go for 3 or 5 big tags and 10-15 more related to your niche. And if you want to do 50/50 you can as well. Just try what works the best for your profile as it might depend on niches and content too. Try out these tips and be surprised by the growth in engagement! 25. IS VSCO X WORTH IT'S PRICE?